Diamond (Adamas, the king of gems, diamonds) - can safely be regarded as the best jewel. After all, diamonds are incredibly strong and have a high refractive index of light (especially those that have been treated in the hands of a jeweler). 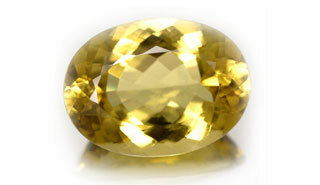 Not to mention that, however high the price of these extraordinary gemstones. Not in vain diamond named as the bombastic title - "the king of stones." The word "diamond" was formed, according to one version, from the Greek "adamas", which means "invincible." 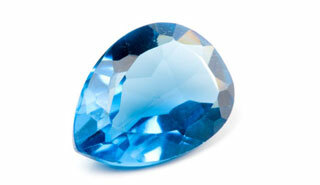 According to another version, the diamond owes its name to the Persian word «elma» - «solid». But whatever the origin of the word "diamond", it is still very accurately expresses the outstanding property of this extraordinary gem. Although, if we are to be honest, a lot of diamonds has plagued humanity, testing their strength. Thus, for example, it was destroyed by a collection of diamonds Duke Charles the Bold, when the soldiers of the enemy, robbing tent Duke began to check the hardness of stones, Loupian on them heavy maces. Due to the high hardness of diamond has long been unable to handle them, the best properties whereas diamond is manifested after cutting. 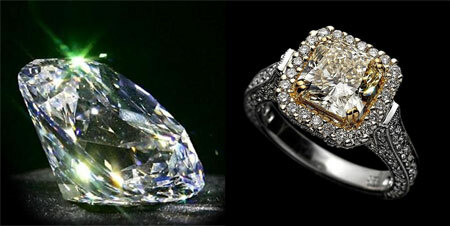 Cut diamond stones (diamonds, they are called) is very beautiful play with light, and some even glow in the dark. But, surprisingly, only about 20% of mined diamonds are on the decorations, and the remaining 80% is used in industry and microelectronics. The most common (and valuable) diamonds are colorless or slightly bluish tinge given, although sometimes there are stones of blue, pink, red and green. The largest diamonds even received their own names , and have a fascinating history. But be careful - at the present time made ? ?a lot of artificial synthetic diamonds (among which, however, there is one very worthy substitute for a diamond - a gem cubic zirconia ). The magical properties of diamond are very characteristic. 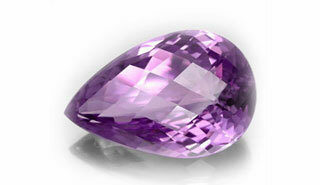 First of all, it is believed that the diamond - perfect stone, strength, power and invincibility. Moreover, diamond is not only gives the holder the power, the power and invincibility, but also effectively protects it from any negative energy. It is also believed that the diamond helps the human body to liaise with the cosmos. However, there is a belief that if a diamond has got gotten, it can harm the owner. And indeed this jewel thieves and criminals brings only misery. But if a person received a diamond as a gift or inheritance, the positive properties of the magic stone is significantly increased. Medicinal properties of the diamond also reflect the quality of this precious gem. In ancient times believed that diamonds emit specific vibrations that are beneficial to the stone media, especially the heart and brain. Once it was believed that diamonds are able to normalize sleep and get rid of nightmares, reduce heat to cure many skin diseases and relieve fatigue. Also, since ancient times believed that diamonds neutralize poisons. A green diamond will help women in childbirth. And still - weak people strong energy of the diamond can be harmful, so this gem should be handled carefully.